Queen Elizabeth used her traditional Christmas broadcast to call for international reconciliation and praise medical workers fighting Ebola in Africa. She said it will take time to heal divisions in Scotland, where a referendum was held this year on whether to remain part of Britain, and praised progress resolving the conflict in Northern Ireland. Elizabeth cited the "Christmas truce" in 1914 as an example to be remembered. "Something remarkable did happen that Christmas, exactly 100 years ago today," she said. "Without any instruction or command, the shooting stopped and German and British soldiers met in No Man's Land. Photographs were taken and gifts exchanged. It was a Christmas truce." She said German forces sang Silent Night so that it could be heard on the British side of the front line. "That carol is still much-loved today, a legacy of the Christmas truce, and a reminder to us all that even in the unlikeliest of places hope can still be found," the Queen said before wishing everyone a happy Christmas. The Queen and her close family celebrated Christmas at the sprawling Sandringham estate in Norfolk. The royals attended a church service Christmas morning before a gala lunch. Prince William and his pregnant wife Kate were present, but their toddler son, Prince George, didn't go to church. Kate told one person in the crowd she didn't bring one-year-old George because he would have made too much noise. 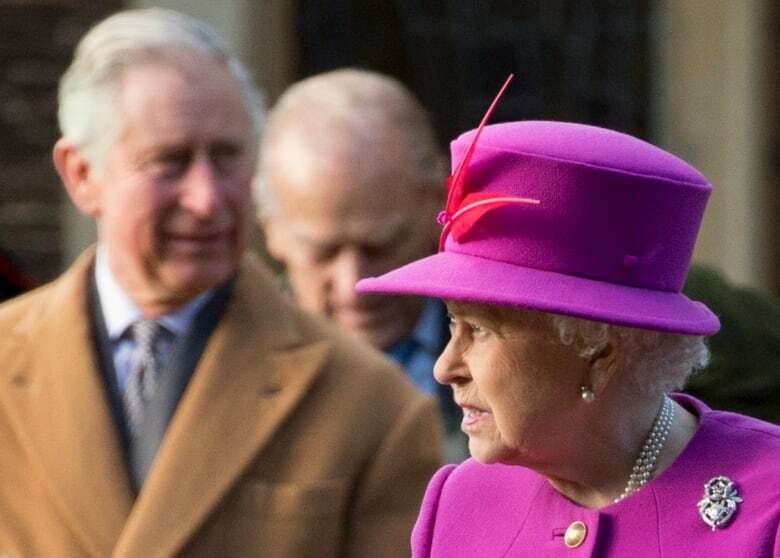 Prince Charles' wife Camilla also didn't attend because of a painful back injury suffered earlier this month, officials said. The Queen arrived by car while the other royals walked from her estate to the village church. Hundreds of well-wishers lined the route to the church to exchange Christmas greetings with the royals. Some shouted with glee as Prince Harry walked by. One visitor from Spain told reporters she had asked Harry to marry her. Archbishop of Canterbury Justin Welby cancelled his Christmas sermon because of a severe cold. In a statement he expressed "great regret" about his inability to preach his planned sermon about the true meaning of Christmas. Church officials said the sermon at Canterbury Cathedral would instead be delivered by the Dean of Canterbury Robert Willis.